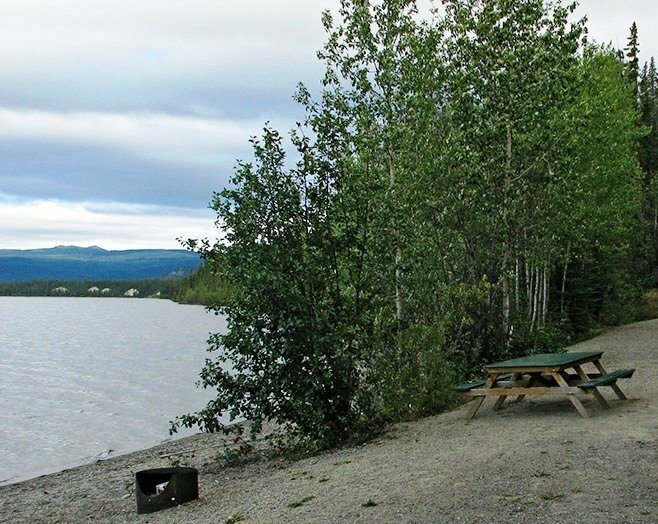 Another great Yukon territorial campground, many sites right on the Yukon River. You can go camping at Yukon river (Yukon government). There are 98 campsites. You can go to the sites and enjoy fantastic camping, fishing, wildlife viewing (mountain scenery). Before you start check the present road condition and check whether the campground is open?. 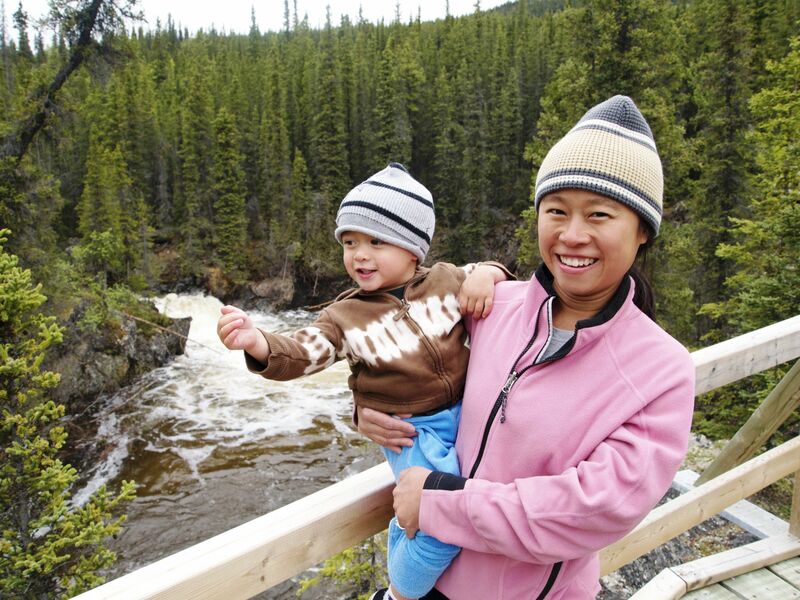 View Yukon Campgrounds in pdf. Picnic tables, campfire pits, firewood, picnic shelter, hand-pumped cold water. Government campgrounds do not have RV dump stations. Some campgrounds also have wheelchair accessible picnic shelters. Here is some rules to follow. If you want to camp you must register. Do all the activities in denominated areas. You may not reserve the sites before of your arrival. Place all your junk in the bear-proof trash containers. Staying limit per Campground 14 nights in any 30-day period. Quiet hours are from 11 p.m. to 7 a.m. Please turn off generators during these hours. All pets must be kept on a leash. And please pick-up after them. Use firewood responsibly. No hoarding and no bonfires please. Leave your firearms packed away. It is unlawful to discharge a firearm in or near a campground. Use commercial dump stations for RV liquid waste. Don’t feed the wildlife. That’s how foxes and bears become dangerous. To operate an ATV you must have: registration, insurance, licence and a helmet.